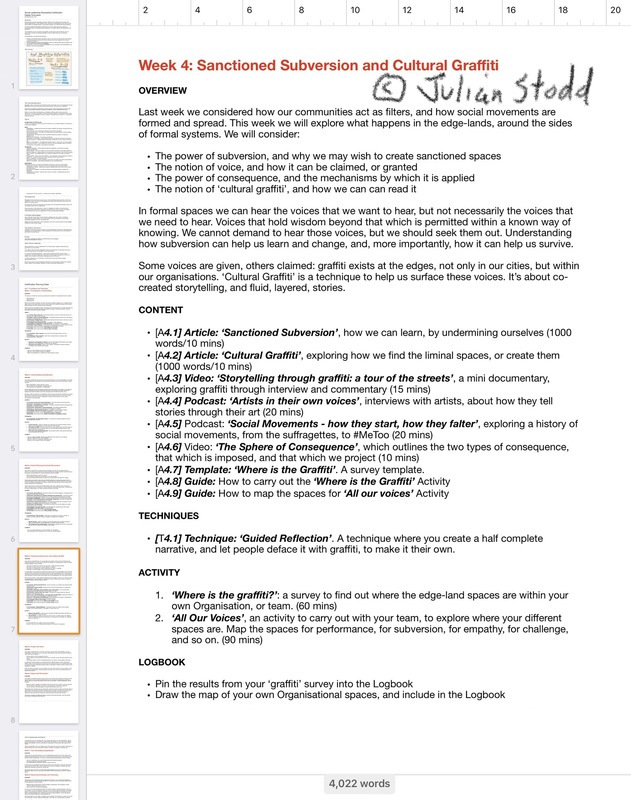 Today i completed the design of the fourth week of the Storytelling Certification that i’m working on. I shared some of the work earlier, and described it like this: it’s not about ‘how to tell a story’, but rather about understanding the social context of stories. How they work, how they find their power, how they control, or are controlled, how they are amplified, adapted, spread, or countered. It’s about understanding how stories work and, then learning how to navigate this space. The part i wrote today explores ‘Sanctioned Subversion’, which is where we create a permissive, but subversive, space, where the status quo can be challenged, and ‘Cultural Graffiti’, which is a technique to hear quiet voices within the system. 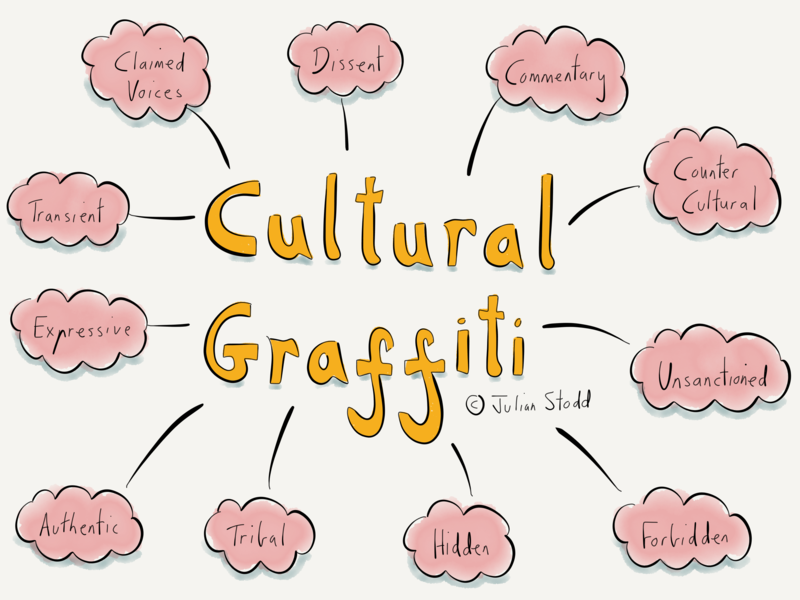 The cultural graffiti work, in particular, is some of my favourite work, as it’s both creative, and quite structured, and where i’ve prototyped it so far, gives some interesting results. Once i have the full design complete, which i hope will be by the end of tomorrow, i will share it all, and am excited about taking the first cohorts into it late in October. The next step is graphic design, which is pretty much the most fun part! This entry was posted in Graffiti and tagged Graffiti, Leadership, Social Leadership, Story, storytelling. Bookmark the permalink.